“Pollution is a serious issue in many parts of the world, especially in urban areas. Using novel graphene-based materials, researchers from the Graphene Flagship Functional Foams and Coatings Work Package have provided solutions to tackle environmental contamination, among other applications. Widespread enthusiasm about the applications of graphene in industry has been hampered by high-cost, scalability and quality bottlenecks. Various methodologies have been tested, which either leave defects in the resulting material or suffer from limited yield. Therefore, there is a pressing need to produce high-quality graphene at large scale with novel functionalities. The Functional Foams and Coatings Work Package, led by Prof. Xinliang Feng of the Technical University of Dresden in Germany, focuses on the chemical processing and functional applications of graphene and graphene-related materials (GRMs). “Our aims are to create porous structures such as foams and membranes, mainly for filtration, and functional thin films for various applications,″ explains Dr Martin Lohe, Group Leader of Innovation & Industry at the University of Dresden. Researchers have successfully developed a graphene production process in the laboratory based on electrochemical exfoliation, that generates high-quality graphene with tremendously improved yield. It involves the use of an electrolyte and an electrical current that drive structural expansion within minutes or hours under ambient conditions. Electrochemical exfoliation is also ecofriendly and can be adapted to natural carbon resources. The most significant advantage of this method is that graphene with tuneable properties can be produced simply by changing the starting material and the conditions of the process. As a result, the graphene can be tailor-made, depending on the given application. Scientists had to overcome certain obstacles, mainly associated with the tendency of high-quality graphene to stack back together. To address this problem, they used functionalising agents that resulted in highly conductive, yet water-dispersible graphene. At the same time, this approach increased yield and material stability. Functionalisation of graphene renders it suitable for a wide range of applications such as indoor and outdoor photocatalysis, desalination and purification, energy storage and chemical sensors. Partners of the Functional Foams and Coatings Work Package have produced graphene inks used in fully printed sensors and energy storage devices. Novel applications of the Graphene Flagship GRMs include water purification strategies such as filtration and desalination. The latter offers a promising prospect for sustainable, energy- and cost-efficient production of clean water from brackish and seawater sources. GRMs are also suitable for use in catalyst systems for hydrogen production, and in the form of foams for lighting purposes and as fast heating elements. 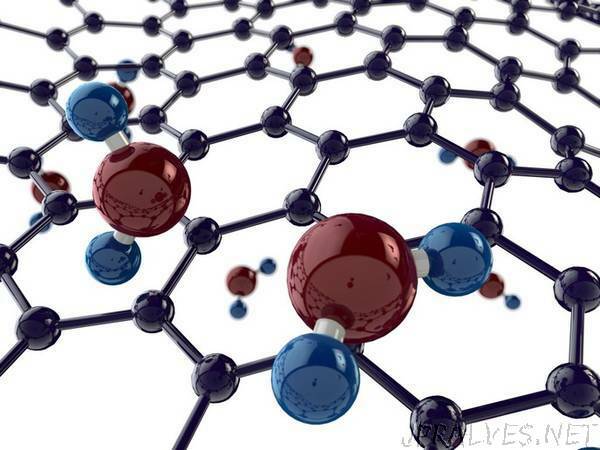 Importantly, graphene is also used to extend the capacity of titanium oxide to break down certain pollutants. Graphene-cement composites with titanium oxide can be utilised as photocatalytic coatings in smart buildings that can clean air in our cities and destroy water pollutants. The numerous scientific achievements of the work package are highlighted by the number of patent applications, awards and scientific publications. It is worth noting the 25 current collaborations with industrial partners and the two spin-off companies that have emerged, promoting production methodologies and graphene-based products to market.